Russia’s leading political party United Russia will support Dmitry Medvedev’s possible candidacy in the presidential election, but only if United Russia leader Vladimir Putin is not running. 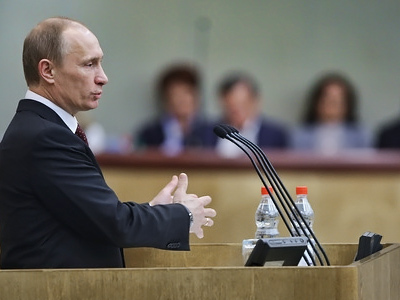 ­The party position was voiced by the head of the United Russia faction in the State Duma, Oleg Morozov. 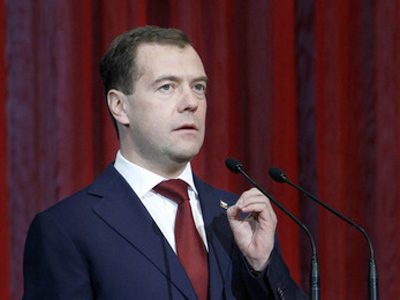 The politician was responding to comments from Medvedev’s interview with Chinese media, during which the Russian president said he did not exclude the possibility of running for a second term in the election which will take place in less than a year. “We have repeatedly stated that Vladimir Putin is our leader and if he runs for the president’s post we will unconditionally support him at the election. This is United Russia’s principal position and it is absolutely natural and logical,” Morozov said in an interview with Interfax news agency. At the same time, the party official said that if Putin decides not to run for president there will be no other force in the country to support Dmitry Medvedev’s presidential bid, but United Russia. 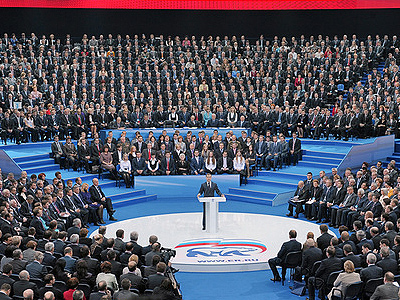 “Of course, there is no other force but United Russia on which he could base himself. Only the party of parliamentary majority can be his foundation,” Morozov said. Medvedev’s words about not excluding the possibility of running for another term were nothing new but still made headlines in the Russian and international media. However, Prime Minister Putin gave no comment on the subject. Putin’s press secretary Dmitry Peskov told the press on Tuesday evening that Putin, who was beginning a working visit to Ukraine, had not had time to study Medvedev’s statement. 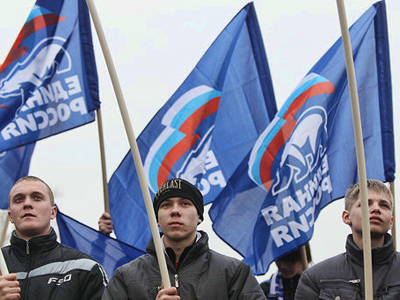 Recent polls show that United Russia’s influence, though still very strong, is gradually decreasing. The forecast of the All-Russian Public Opinion Center reads that at the forthcoming parliamentary elections the party will get only 290 seats in the State Duma instead of the current 315. It will still, however, have 58.7 per cent of the Duma votes, but it is less than the 70 per cent required by Russian law to make changes to the Constitution. The other major Russian political parties are expected to get from 15 to 10 per cent of the votes and very few seats.